Elizabeth Davis, assistant professor of nursing and director of the Master’s Entry in Nursing Practice program, has received a prestigious Nurse Educator Fellowship from the Illinois Board of Higher Education. The fellowship, designed to encourage highly qualified nurses to continue their careers in higher education, includes a $10,000 award toward conferences, continuing education and other professional development opportunities. Davis is one of only 19 nurse educators in Illinois who received awards in this round of funding. 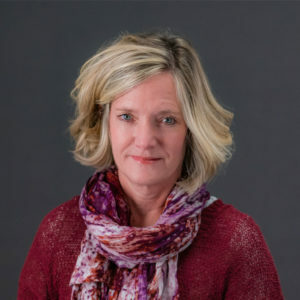 The fellowship will support Davis’ ongoing research in nursing education by allowing her to participate in professional-development workshops, conferences and a scholarly writing retreat. Davis’ research focuses on improving the transition of new graduate nurses and curricular improvements to graduate-level nursing programs. Davis, who joined the College in 2008, earned an MSN from Elmhurst College and a DNP from Rush University. She is director of the Master’s Entry in Nursing Practice program, which offers a path to a nursing career for students with bachelor’s degrees in other fields.